Well look at that: Thomas Brand’s minimal desk layout was featured by Simple Desks. iMac? Check. Twitter bird? Check. Newton MessagePad? Check. David and I had a chance to chat with Mr. Brand on The hello Show a few months back, and it was a treat. So is his blog, Egg Freckles. Posted by davelawrence8 at 7:17 am on December 15th, 2010. No comments... » Categories: macs, messagepad. Tags: egg freckles, imac, minimal, simple desks, thomas brand. Subscribe via RSS. 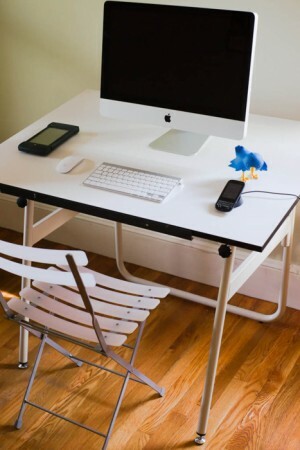 Love the stuff going on over at Simple Desks, especially this drool-worthy chair and iMac combo. Not so sure about the cat leering over me, though. I’ll take a scenic view any day. Posted by davelawrence8 at 7:22 am on November 18th, 2010. No comments... » Categories: macs. 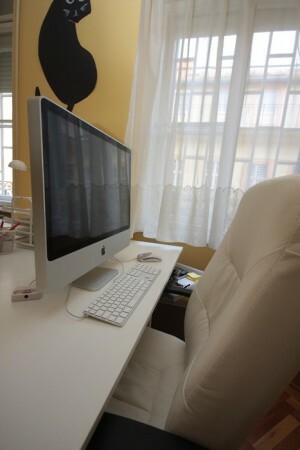 Tags: imac, office, simple desks, workspace. Subscribe via RSS.